The 24-karat gold ornament sells for $124 on Donald Trump's website. The election is over, but one holiday item is making a big splash. Since Nov. 25, the "Make America Great Again" 24-karat gold Christmas ornament has sold thousands worldwide. 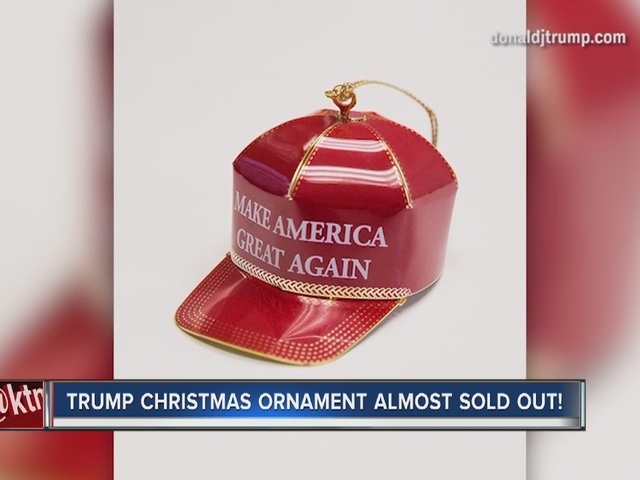 Donald Trump supporters can purchase the ornament for a $149 on his official website . Despite sales, the ornament has a 2-star rating on Amazon , where hundreds of reviewers took jabs at the president-elect.